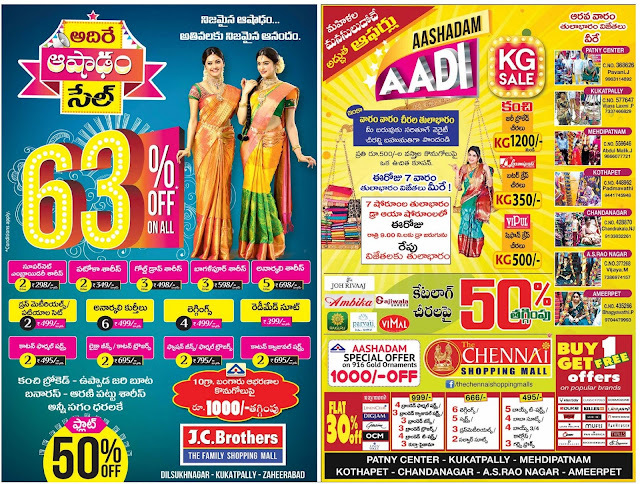 Ashadam sale in J.C brothers, 63% discount off on all Super net embroidary sarees, patola sarees, gold drop saress, bhagalpur sarees, Anarkali sarees, dress material patiala set, Anarkali kurthis, Leggings, readymade suits, cotton formal shirta, likra jeans/cotton trousers, fashion jeans, cotton casual shirts. 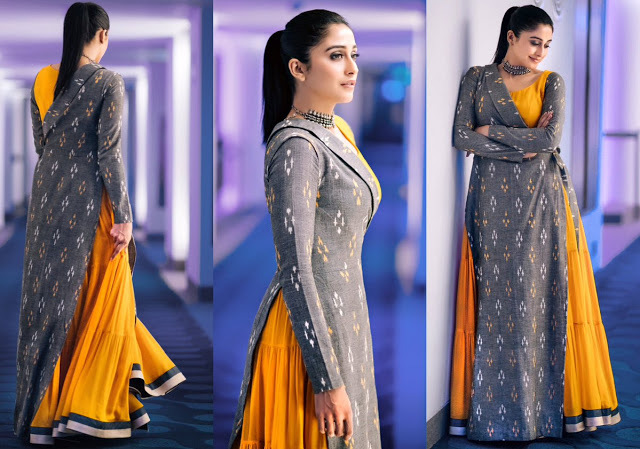 Kanchi brokkade, uppada jari buta banaras, aarani pattu sarees with flat 50% off. Rs 1000 discount off on gold for more than 10grams purchase. branches: dilsukh nagar, Kukatpally, Zaheerabad. Chnnai shopping mall: KG sale butter crape sarees KG 350., shiffan crape sarees KG 500. 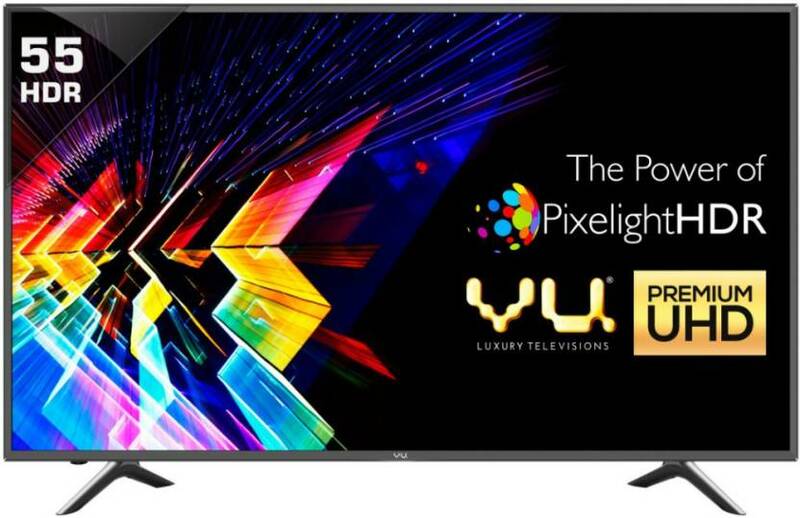 Big discount and KG sale offers in chennai shopping mall. 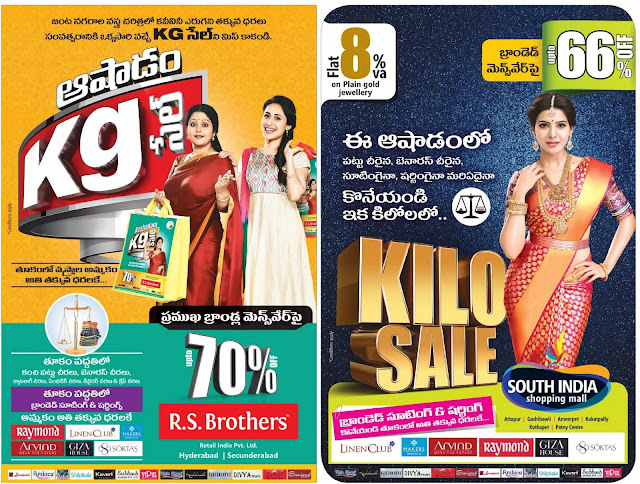 R.S brothers: KG sale on kanchi pattu sarees, banaras sarees, catalog sarees, synthetic sarees & crape sarees. These offers are valid in Hyderabad city.